Physical Therapist and Founder of Midland Physical Therapy, Inc.
Sheila founded Midland Physical Therapy, Inc. in 1995. 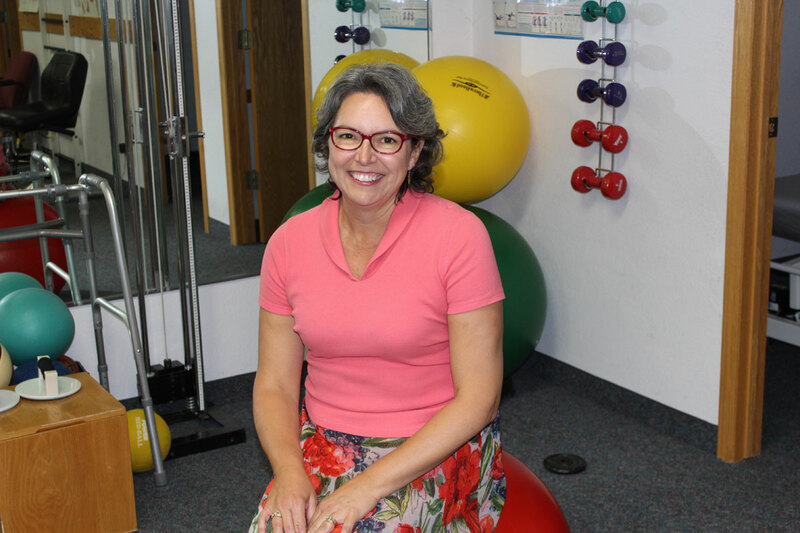 She earned her Bachelor of Science in Physical Therapy in 1990 from Oakland University and completed her Master’s Certificate in Orthopedic Manual Physical Therapy in 1992. She has been a member of the Fellow of the American Academy of Orthopedic Manual Physical Therapy as well as the American Physical Therapy Association and Michigan Physical Therapy Association. Sheila received the 2004 Outstanding Clinical Instructor Award from the Michigan Physical Therapy Association. She has lived in Midland since 1993 and has two adult daughters, Katy and Becky, whom she is very proud of. 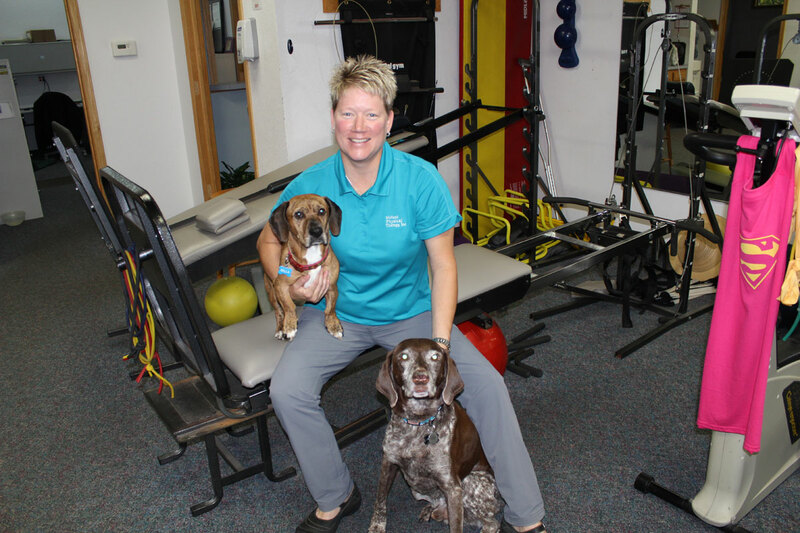 Amy earned her Masters of Science in Physical Therapy from Central Michigan University in 2004. She graduated from the University of Michigan with a Master’s of Science in Kinesiology and a Bachelor’s of Science in Movement Science. Prior to moving back to Midland, she spent 2 years working as a physical therapist and clinical director. 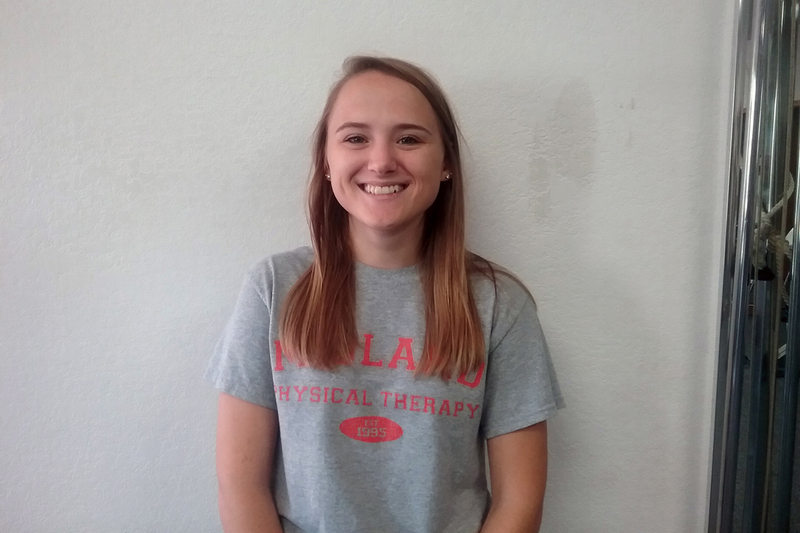 Amy is excited to be working at Midland Physical Therapy and helping people of all ages return to the activities they enjoy. She is an active member of the American Physical Therapy Association and Michigan Physical Therapy Association. 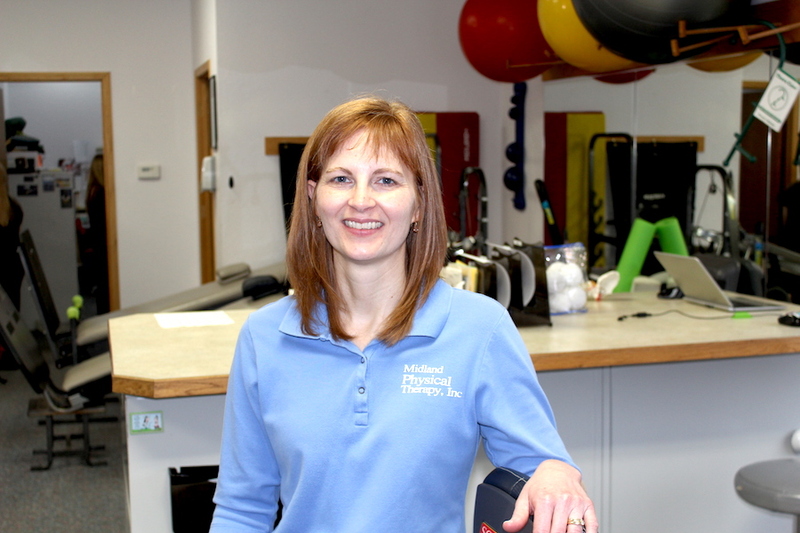 Kristi earned her Masters of Science in Physical Therapy at Des Moines Univerisity in 1998. She completed her undergraduate degree in Kinesiology and Exercise Science in 1994 at Michigan State University while starting for the soccer team all four years. 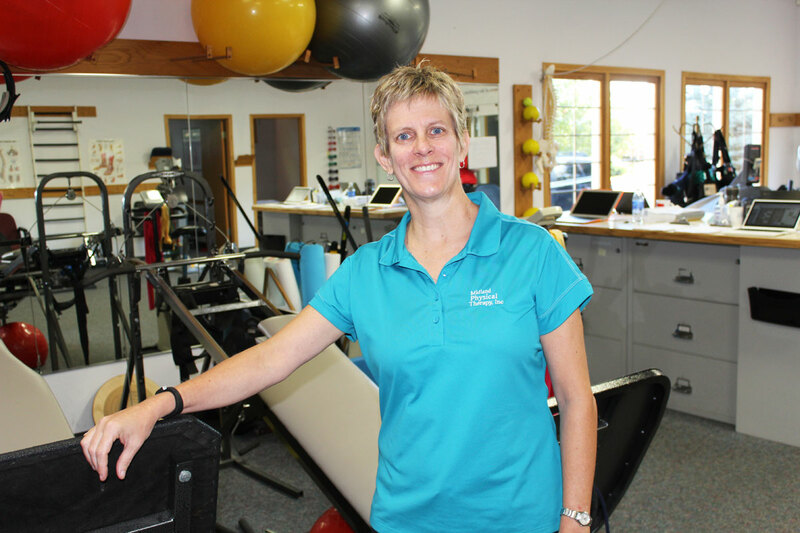 Kristi enjoys combining her knowledge in exercise and manual techniques to help her patients improve their function. She continues in her love for animals especially her dogs and cooking for her family and friends. 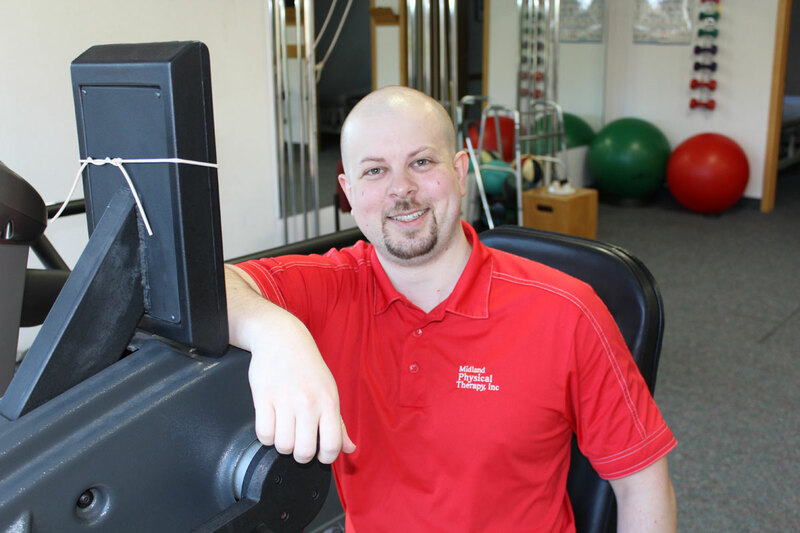 Ryan earned his Doctor of Physical Therapy degree from Central Michigan University in 2013, and graduated from the University of Michigan with a Bachelor of Science in Biology in 2009. Prior to coming to Midland, he completed an intensive one year manual therapy fellowship experience in Ithaca, Michigan, and uses a wide variety of manual techniques to help his patients achieve their goals. He is a member of the American Physical Therapy Association and Michigan Physical Therapy Association. Carolee earned her Bachelor of Science in Physical Therapy from the University of Michigan in 1985. She has many years of experience in acute care and neuro-rehabilitation. Her special interest is the geriatric population and helping them to function well in their homes. To see if you are qualified to receive physical therapy in your home with Carolee, please contact our office at (989) 832-6485. Lori is a licensed Physical Therapy Assistant. 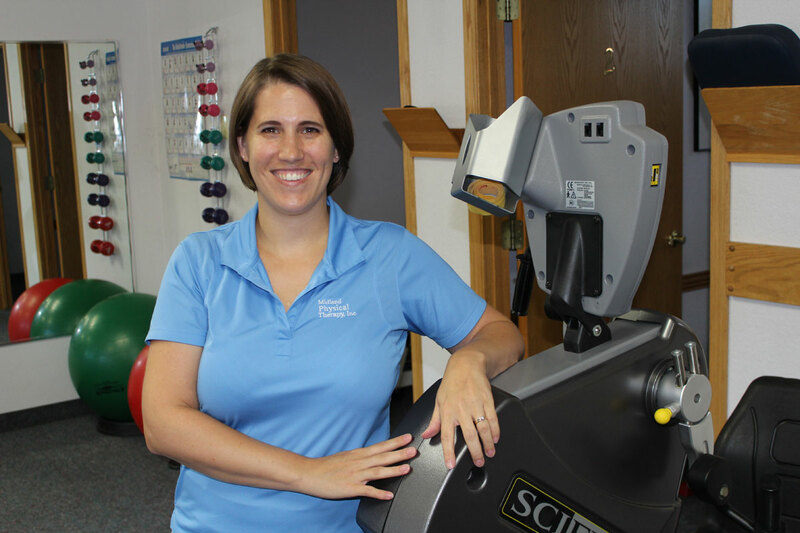 After more than 10 years working as a massage therapist, she entered the field of physical therapy and enjoys helping people and building a personal relationship with the patients she works with. In her free time, Lori enjoys traveling with her husband, hiking, reading, and spending time with her dog. Lori is a member of the American Physical Therapy Association (APTA) and the Michigan Physical Therapy Association (MPTA). Shelly earned her degree in Health Sciences and Office Management from Delta College. 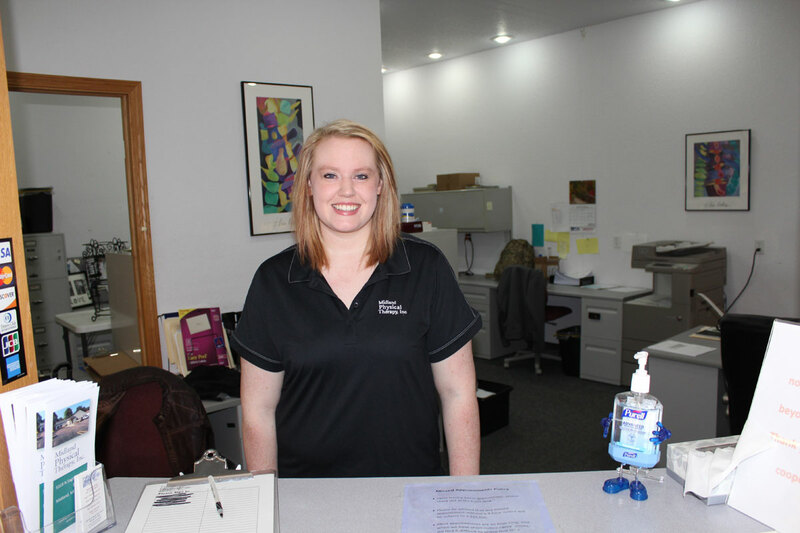 She joined Midland Physical Therapy in 2007. She is the Office Manager and the point of contact for problems, issues or special projects that happen to arise. Her duties include insurance billing, account management and outfitting patients with the appropriate brace for their situation. She has over 20 years of experience in patient care and as an office professional. She is very family oriented and loves spending time with her husband, Mike, and their two children. She also enjoys getting to know the people who stroll across her path. She loves the outdoor, especially kayaking, hiking, camping and fishing. Brittnee joined Midland Physical Therapy in March 2008 and earned her Associates degree as a Medical Office Professional from Delta College in 2011. 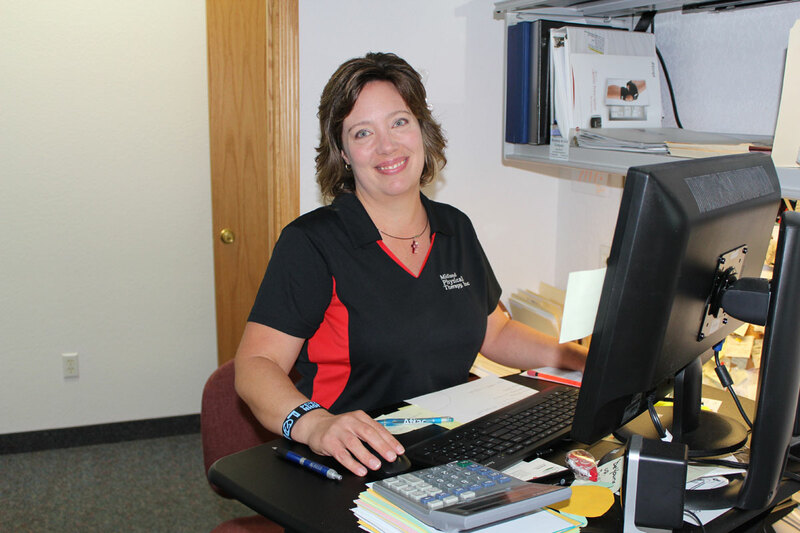 Her role at Midland Physical Therapy consists of scheduling, front desk tasks, assisting with billing, as well as supporting our clinical staff. She enjoys spending time with her husband and dog, going to the movie theater and singing in her church choir. Linda grew up in the Midland Area and went on to earn her Associate’s Business Degree from Tarrant County College in Texas. She subsequently began her career in the hospitality industry, helping small businesses grow. After several years as a Purchasing Agent in Manufacturing and at American Airlines, she moved back to Midland to be nearer to family. Linda’s lifelong passion is volunteering, which led her to become a Big Sister volunteer for the past 21 years at at Big Brothers Big Sisters. 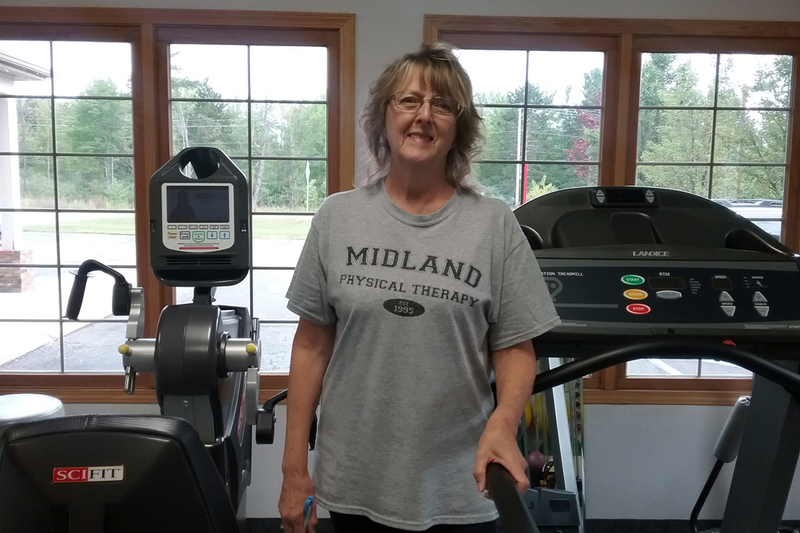 Linda’s natural ability to relate well to people and her hospitable personality allow her to fit right into the Midland Physical Therapy family as a support staff employee. Jessica currently attends Central Michigan University (CMU) where she is studying molecular biology as an undergraduate and plans to continue onto graduate school there as well. Upon completing her education, she hopes to find a position that allows her to conduct research in the field of molecular biology; hopefully, a fulfilling position that will allow her to combine her love of science and helping others. Her passion for helping others is a primary reason she loves working at Midland PT. Jessica truly enjoys getting to know our patients and learning about their adventures. In her free time, she enjoys camping and traveling around our beautiful state.